Four disruptive factors are set force dramatic changes in the datacentre market by year-end 2016, according to Gartner. A Gartner report found highly disruptive competition, big Cloud provider dominance, economic warfare and nationalism will occur with different intensities over different time frames. However, at least two of these factors will drive significant disruption within the next three years, and elements of all four will drive the opportunities and risks in the datacentre market during the next three to four years. 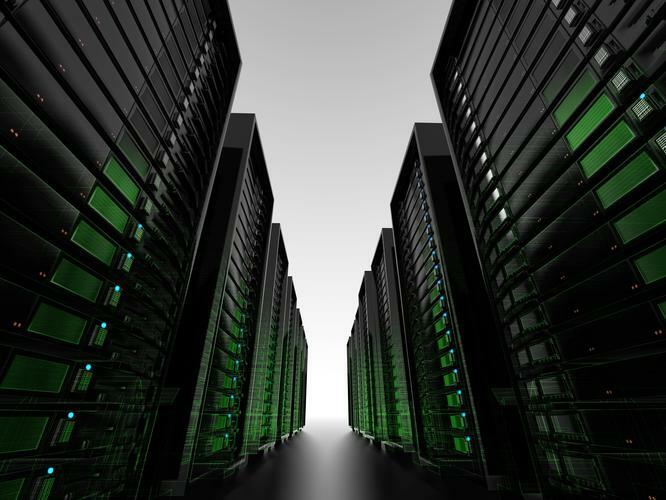 In Australia, spending on datacentre hardware is forecast to reach almost A$1.7 billion in 2014, and A$1.8 billion next year. Gartner vice president distinguished analyst, Joe Skorupa, forecasts that Chinese suppliers will increase their share of the datacentre infrastructure market by 2 percent by the end of 2017, at the expense of western companies, partly due to increasing anti-U.S. sentiment. He also says that expansion of the big Cloud providers will spell the end of growth for traditional datacentre vendors, partners will become competitors and the ‘Snowden effect’ leads buyers to believe that none of the large multinational providers are trustworthy, so emphasis shifts to in-country-developed technologies. Although, on the surface, the DC market is poised for growth, existing assumptions regarding the ongoing growth of the DC market are unlikely to be realised, according to the report. "They rely heavily on the current base of traditional enterprise IT end users, and a vendor community that is more likely to support the status quo, rather than introduce risk and break the enterprise IT mould," the report said. The report said an uneasy peace existed among the incumbents in the market. "While there is some heightened tension as former partners now compete, no one wants an all-out slugfest because everyone is addicted to the high 50 per cent or more gross margins in storage and networking hardware and DC infrastructure software," the report said. "New workloads may be going to external IT providers, and these buyers are not interested in high-price/high-margin commercial off-the-shelf products as they shift toward open-source software and embedded manageability. However, vendors are focused on maintaining the status quo for as long as possible." If a powerful incumbent aggressively enters an adjacent market with a new offering, it could trigger severe shockwaves throughout the industry. The report said there were numerous potentially disruptive technologies, including software-defined networking and software-defined storage, network function virtualization, extreme low-energy processors and webscale-integrated infrastructure. The centre of gravity for new application development and deployment is shifting from in-house to Cloud-first as consumer/mobile needs dominate, according to the report. This is also starting to influence the expectations around new internal applications, which require more-flexible, distributed and hybrid IT. The SaaS/Cloud-first approach to new, high-growth workloads means that growth in infrastructure hardware is generally aligned to webscale architectures. While workloads may not run more efficiently in the cloud, providers ensure that excess capacity is used, in some cases, at lower prices to ensure highest utilisation, and, therefore, highest monetary return for the provider. This result is top-level improvement in efficiency, which, as Cloud provider dominance increases, has the immediate effect on the DC market of reducing the demand of total amount of compute to total workload. The report said traditional managed service providers (MSPs) and infrastructure providers were failing to deliver compelling alternatives to platform as a service (PaaS) from Amazon, Google, IBM, Microsoft and Baidu. "MSPs are relegated to providing basic transport, or, at best, become managed service brokers," the report said. "Amid this churn, traditional vendors find it increasingly hard to compete. "Their growth gradually slows as large Cloud providers acquire greater market share. "In a very short time, these providers will come to dominate the infrastructure as a service (IaaS) and PaaS markets, and strongly influence the price of DC infrastructure. According to the report, the two camps of DC infrastructure providers, East and West, cannot peacefully coexist in any market, given the need to protect and increase their influence. "The impact is that the market is in constant flux, as both sides try to achieve some sort of dominant constant state over the majority of the markets,"
"China has invested in its national high-tech research and development program (also known as the 863 Program) since 1986, as a response to the growing technological and innovation gap between China and the West." China also has various subsidised programs that are targeted to help high-tech Chinese enterprises to reduce research and development costs in core electronic components, high-tech application-specific integrated circuits (ASICs) and fundamental software development. Gartner predicts that China, buoyed by deep resources, increasingly respected brands and strong original design manufacturer suppliers (with headquarters in Taiwan and electronics manufacturing service in China), alongside increasing anti-US sentiment, will increase its share of the DC infrastructure market by two percentage points by the end of 2017, at the expense of western companies. Furthermore, as buyers come to believe that none of the large multinational providers are trustworthy, emphasis will shift to in-country-developed technologies, and OSS and hardware. The report predicted Intel, AMD, Western Digital and Seagate would maintain their positions for the next several years. But Intel and AMD should see erosion as mobile and light-medium workload processors shift to ARM and other architectures. "As high-performance rotating media becomes less important, the storage component market shifts steadily to flash," the report said. "Software vendors will have to invest more to ensure their applications are compatible with a wider range of hardware, or pick and choose which hardware vendors to work with."